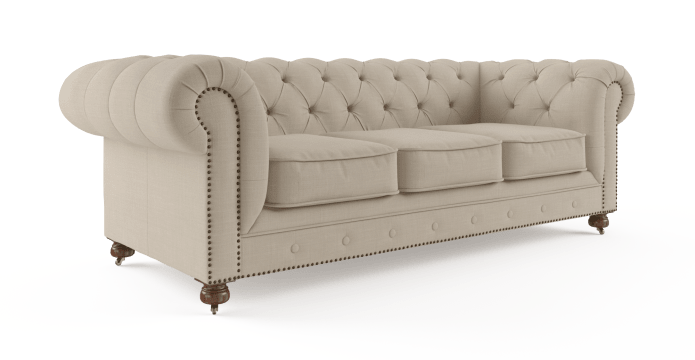 Combining shape and texture for a classic and stylish look, the Camden Chesterfield 3.5 Seater is a Brosa favourite. Part ofthe bestselling Camden Collection, this piece is spacious and sophisticated. 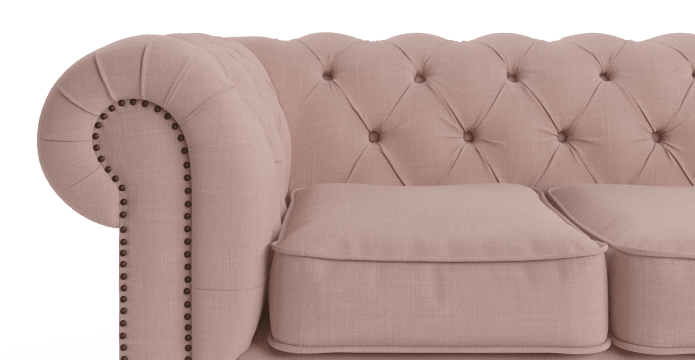 Shop more sofas and armchairs available in every style from Brosa. 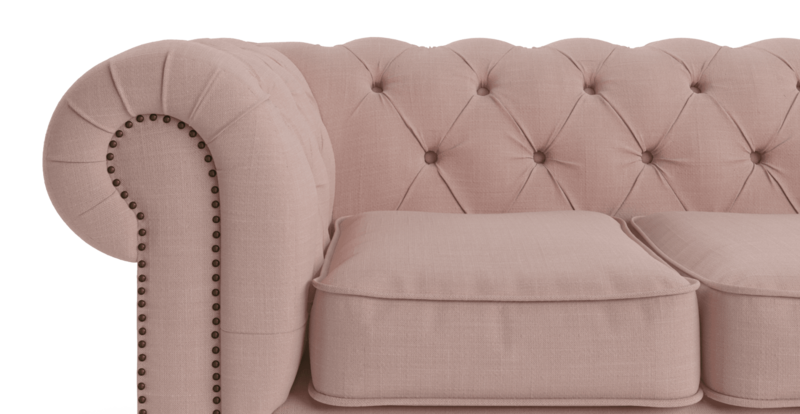 Diamond tufted detailing adorns the backrest of the Camden, contributing to the opulent character of the sofa. The piece comes in a variety of appealing shades, from dark Night Black to soft Classic Cream. 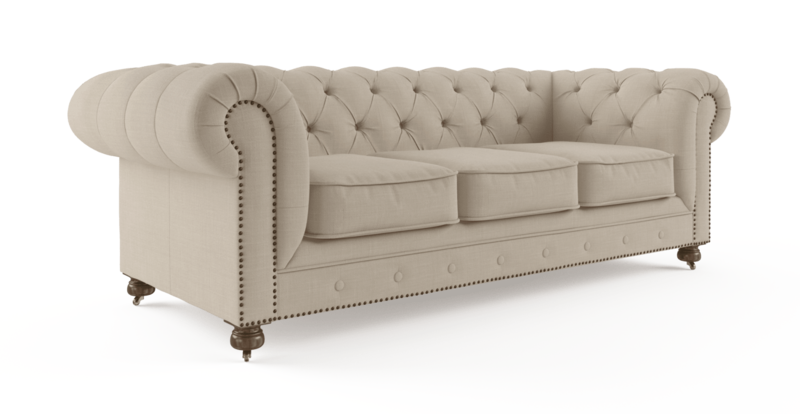 Not only is the Camden Chesterfield incredibly stylish, its dense foam filling makes it supremely comfortable. Cosy up on the denselyplush cushions, with a gently curved back and armrest ideal for extended seating. Brass studs complete the look of the Camden, which also features wooden castor legs for an added level of convenience. 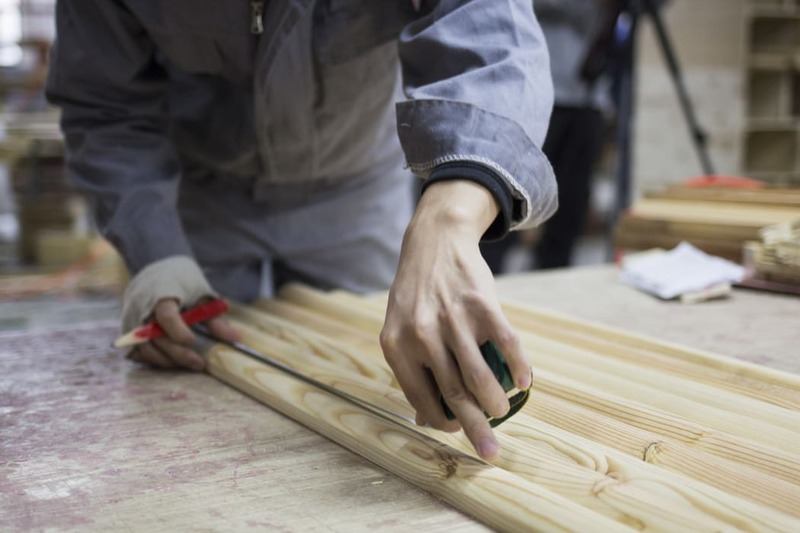 The frame is strength tested and built from sustainable FSC Sourced Timber. Fantastic, as pictured and described - so lovely to have delivered to my door. Amazing service, easy website to navigate and the product that I ordered is beautiful. Website easy to use. Furniture is amazing for the price, high quality. Delivery is fantastic too. Very happy customer. Everything is perfect. I love my new lounge and arm chairs. Fantastic products, packaging and freight was also incredible. I live in a regional town and all my orders turned up without a scratch - incredible! I have recommended Brosa to family and friends !! Great range of products and fabrics to choose from. Order received very quickly, well packaged and helpful courteous delivery gentlemen. Service is great. Delivery was great. Products are fantastic. See, touch and feel our fabrics used on our Camden Chesterfield 3.5 Seater Sofa. For Free! Simply select up to 3 fabrics and add them to your cart. Delivery is on us.